The first time I entered Hintze Hall I felt very small. I was very small, probably no more than eight years old. Colossal walls of coloured tiles, the massive central staircase and numerous oversize inhabitants dwarfed me. I stood in awe, a tiny speck of human against an iconic backdrop. Charles Darwin, arguably natural science’s greatest front man, sat soberly in charge of his meandering visitors below. However my child’s gaze was fixed elsewhere, on the museum’s friendliest giant: Dippy the diplodocus. I’ve changed profoundly since my first visit to London’s Natural History Museum, but Hintze Hall hasn’t. For this reason, it remains one of my favourite places to visit. I still get a rush when my eyes trace Dippy’s elegant neck and for a split second, I have an explanation for my adult self: My love for the great outdoors and its wildlife, the regard I hold for nature’s explorers, and my desire to see and understand as much of this world as possible, both past and present. The museum takes us through the story of earth and its varied inhabitants via a carefully planned range of exhibition zones. From the beginning of the universe with a big bang in the red zone, we walk tall through an archaic world of dinosaurs in the blue zone. The species of today and the importance of their preservation are dealt with further into the blue and then the green ecology zone. An afternoon spent there tells a story, which within the pages of a book would barely be credible. However, if recent news is to be believed, things are about to change. Another, more contemporary giant is named to replace poor old Dippy: the blue whale. The massive skeleton of earth’s largest creature currently hangs in the Large Mammal Hall of the museum. Of course, its humongous bones are impressive and I’m not against change itself. In fact, without it we wouldn’t be able to adapt, innovate and evolve, something of which Darwin was only too aware. The blue whale that currently hangs in the Large Mammal Hall will be moved to the grand Hintze Hall entrance. Still, since 1979 when Dippy began guarding the entrance, he’s become an icon. Why dismantle a character that continues to give children and adults an immediate respect and appreciation for the natural world? Surely, Dippy achieves the museum’s main goal instantaneously: A high-impact and memorable introduction to the underlying message that guides the rest of its teachings. On hearing the news of Dippy’s demise I decided to pay another visit and was quickly reminded of everything I love about the place. I passed a rainy afternoon, as I’ve passed many: wandering the rooms of the famous building, marvelling at its displays, explanations and interactive explorations. As closing time neared and throngs of tourists braced into the wet streets, I took five minutes to stand as I had that first time over twenty years ago. The last of the daylight beamed from the high windows, landing in neat squares on the floor. Charles sat, still in charge, surveying the busy Friday afternoon with nonchalance. And Dippy. Dippy stood facing the front doors, looking out over the bouncing heads of the exiting public, waiting for another silent night in his famous home. “Bye” I mumbled sadly. “Bye Dippy!” an excited child shouted over my shoulder as I turned my back to leave. When news broke of Dippy’s replacement, the hashtag #saveDippy started trending on social media. From what I’ve read, most people share my opinion and have become very attached to Dippy over the years! 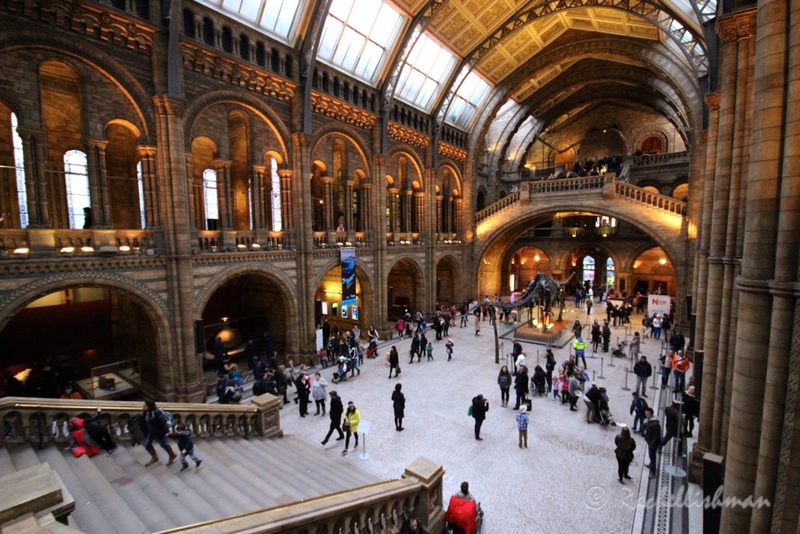 You can visit the Natural History Museum after dark for a night safari through its exhibits and evening drinks on the last Friday of every month are also very popular with the museum’s adult fans. 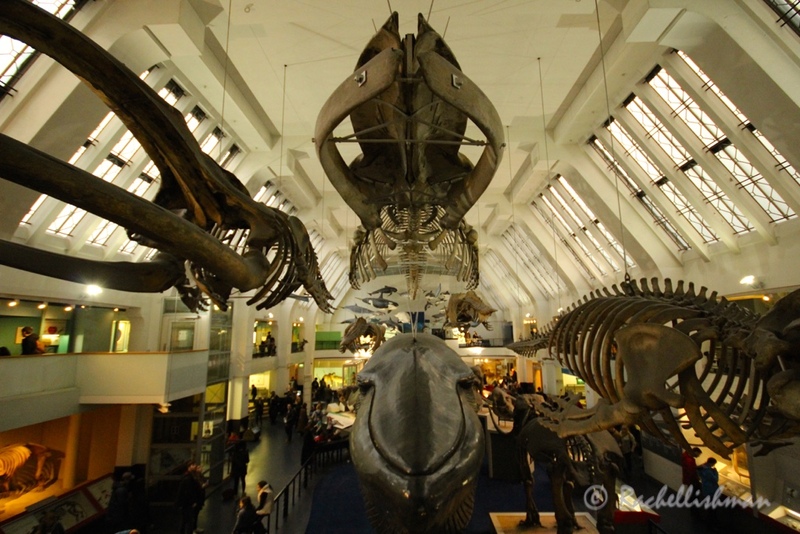 Do you want to #saveDippy, or do you agree with the museum that it’s time for a change? I agree with you – I think it is sad that they will remove “Dippy”!! If I have a say. Great minds! And what a fantastic quirky idea for a ‘celebrity’ blogger! I’ll have to follow Justin to see what he gets up to next!! I think it’s a decision that needs to be well thought through – is change just for the sake of change a good thing? The only analogy I can think of is certain types of architecture – there are some structures that are now thought to be ugly but have also housed an important function/become synonymous with a certain place – if they are demolished we would lose a small part of history! A very good point well made! I hadn’t fully considered the plight of the blue whale and I agree that highlighting the issue is a good thing. Hopefully you’re right and Dippy will still be available for the public to look at somewhere else in the building! I saw Dippy for the first time when I was a lot older (about a couple of years back) and he was one of the exhibits that I remember most clearly from that visit (I did a short post about it here). I was surprised when I heard about plans to replace him but after reading more about the plans and views similar to what darwinontherocks has said above (bringing attention to endangered species), it doesn’t sound like such a terrible idea. I hope they stick to their decision of keeping him around, though.